If you’re passionate about cartoons and either work as a cartoon illustrator or simply practice drawing cartoons as a hobby, these fun cartoon tutorials will surely help you out! 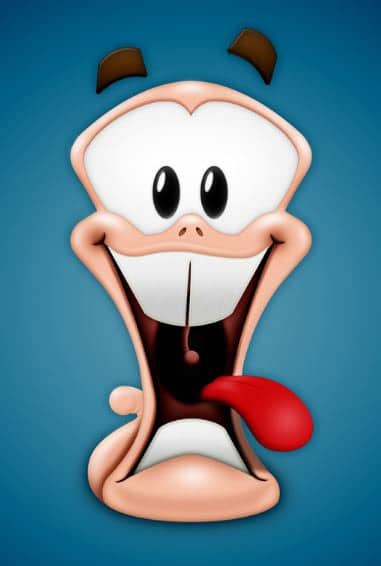 Cartoon characters and illustrations have a great ability to make people laugh and feel good. 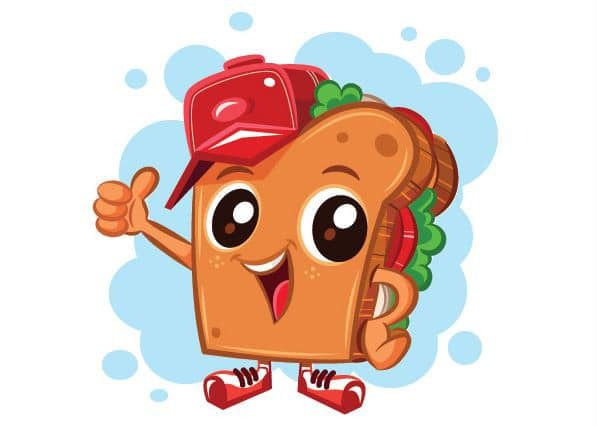 Cartoon characters are also used by different companies to create their brand mascot, as they seem to stay in their client’s minds and attract attention. 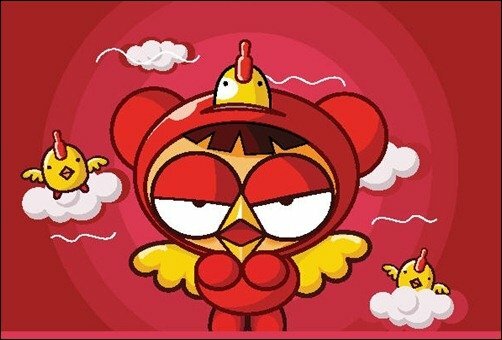 If you are an aspiring illustrator or you just want to improve your Adobe Illustrator or Photoshop skills, then these amazing cartoon tutorials will surely be of help. If you have some basic sketching skills and talent, these tutorials will seem pretty easy to you. Illustrator is not an easy drawing tool to use, but with a little exercise and determination, you can become a great, talented illustrator. These tutorials will teach you how you can start from basic shapes and develop them to achieve great results. You can use Adobe Photoshop, Adobe Illustrator or Corel DRAW, depending on your preferences. These fun cartoon tutorials offer step-by-step guidance and are easy to follow. You can create beautiful cartoons from a sketch in no time! 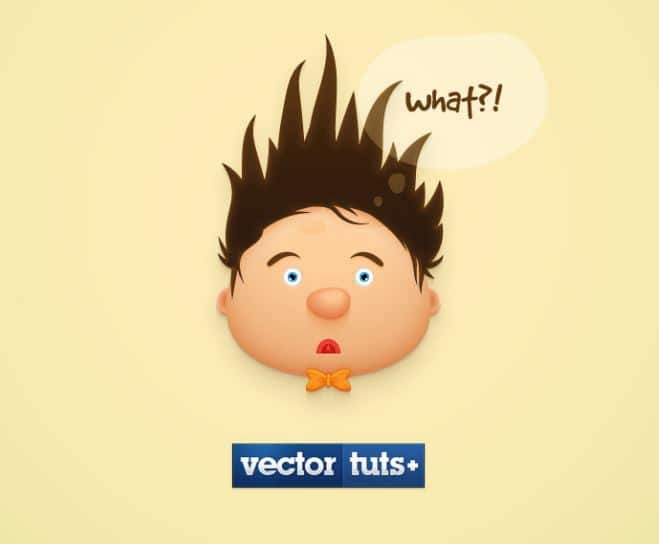 You can also create vector illustrations, mascots, or just about anything you imagine. 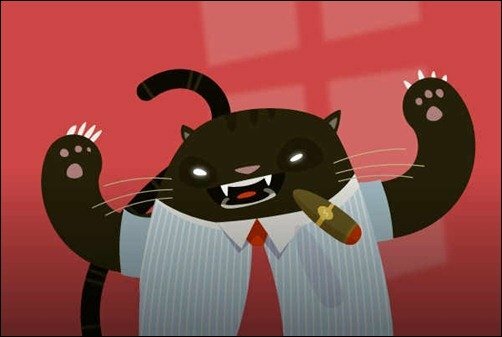 So, without further ado, here are 20+ amazing cartoon tutorials for aspiring illustrators, which will teach you how to create beautiful illustrations and funny characters. 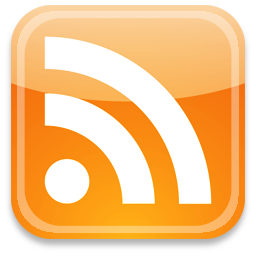 We also added an extra one at the end, with some tips and tricks coming directly from us! P.S. Check out these Illustrator Tips, Tricks & Tools! 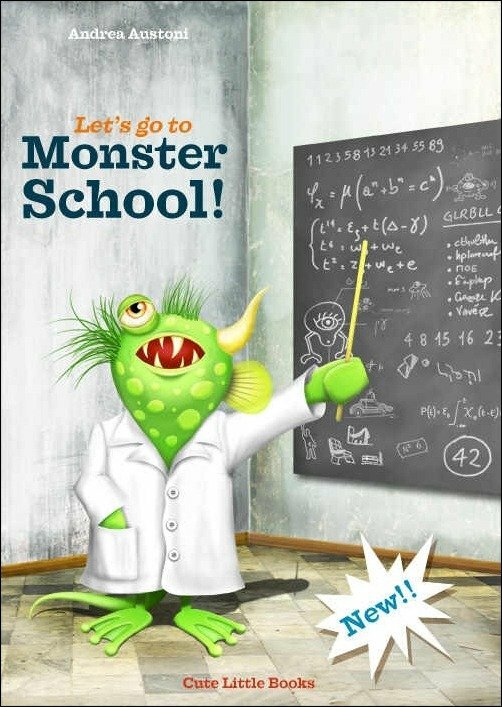 This is a two-part tutorial for creating the “Let’s Go To Monster School!” book cover. You’ll learn the complete process from initial sketch to the final artwork, using an Illustrator and Photoshop. In Part 1 you’ll use Illustrator to trace the hand-drawn sketch, lay down the shapes and define the basic colors. 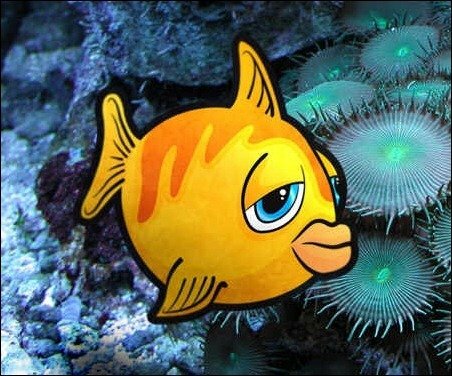 This is an Adobe Illustrator tutorial covering the process of creating your own vector character; Freddy the Fish. It’s a great, step by step tutorial, which will help you learn some basic Illustrator techniques. For this tutorial, you’ll first create a hand-drawn sketch, which you’ll scan into the computer and use as a base for tracing with Adobe Illustrator. The final outcome is a colourful cartoon character in vector format! 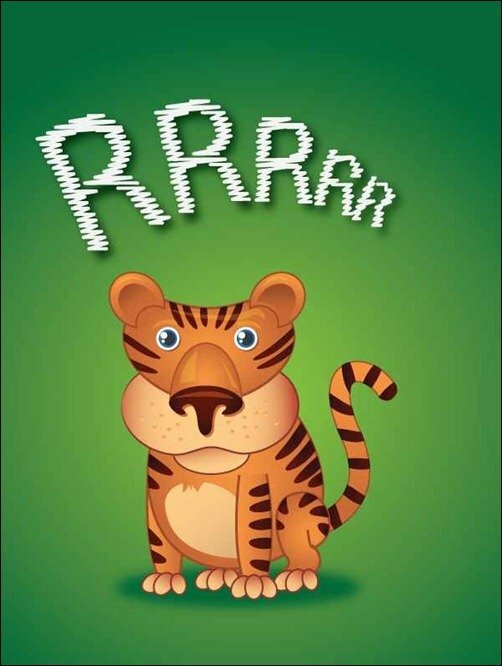 This is a great tutorial that will teach you how to draw a cute tiger cartoon character, that you will be able to use in your projects, as a desktop wallpaper, etc. You will also learn lots of Illustrator techniques as well. 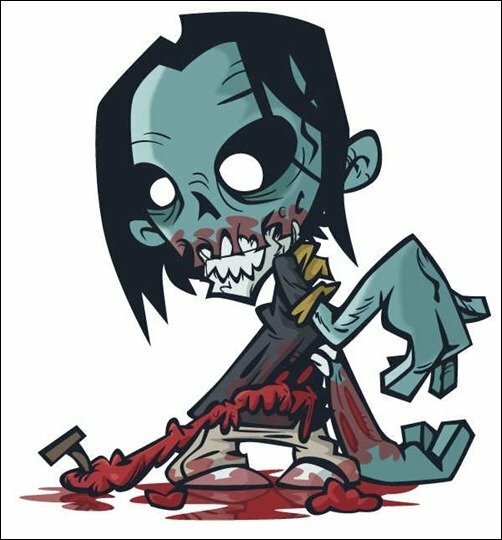 In this tutorial, you’ll see how you can create a cartoon zombie in Illustrator. Starting by creating a fresh corpse, you will then “zombify” it using a number of techniques. 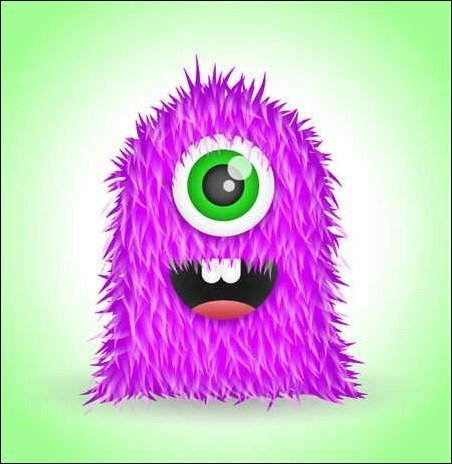 This is a great Adobe Illustrator tutorial, to help you create your very own super cute fuzzy monster character. You’ll be working with the basic shapes to start, then use a variety of gradients to add depth. This tutorial details the professional workflow for creating vector illustrations and preparing the artwork for stock vector sites. A few time-saving tools and tips are included! This is a short Illustrator beginner tutorial, in which you will use Layers, utilize the Pen Tool, Convert Anchor Point Tool, and Direct Selection Tool, to draw and colorize a vector Bart Simpson character. This great monster character Illustrator tutorial uses mostly the basic tools and shapes making the tutorial suitable for beginners to Illustrator. 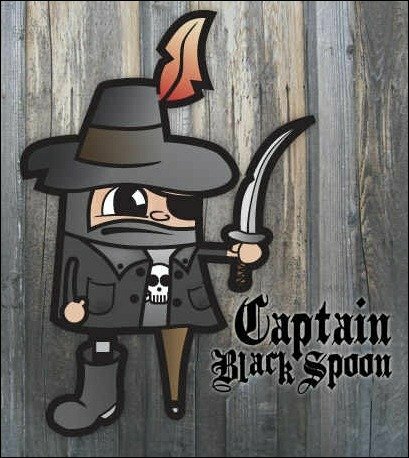 This is a very easy to follow Illustrator tutorial, that will teach you how to draw a funny game character in Adobe Illustrator, in a step by step manner, with images for each drawing step. 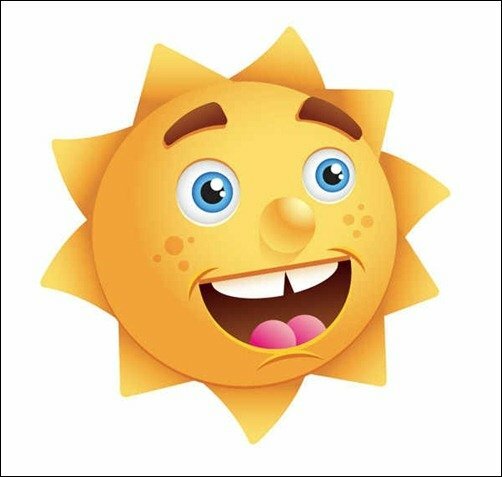 This is a fun sun character tutorial. This intermediate tutorial is great for logos, children illustrations, and other projects relating to climate change. In this easy tutorial, you’ll find out how you can create a cute panda bear face icon all from ellipses. The great thing about this tutorial is that you can easily apply the techniques to other icons, illustrations, logos, or other projects. 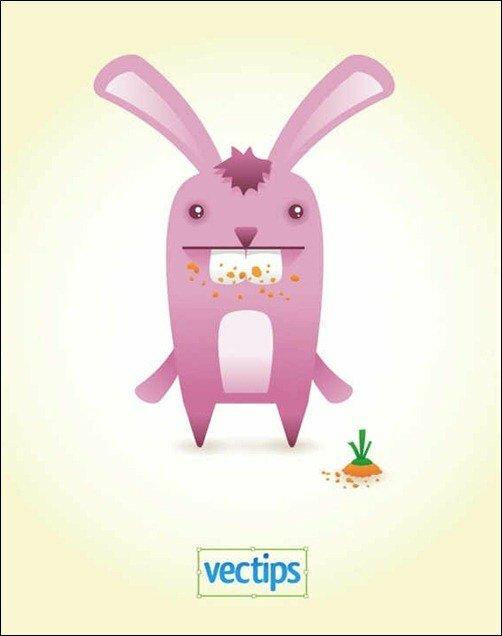 This tutorial will help you create the face of a goofy bunny. You won’t need the Pen Tool, only the Ellipse Tool and the Rectangle Tool plus some basic effects like the Inner Glow, the Drop Shadow or the Warp effect. 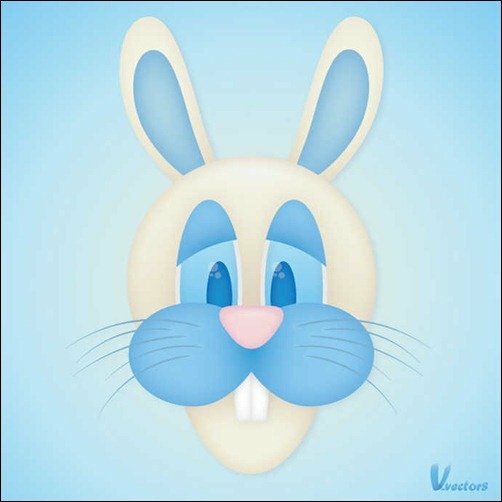 In this Adobe Illustrator tutorial, you’ll learn how to create a cute bunny character. This tutorial uses simple shapes and gradients that are easy to apply to other character illustrations. 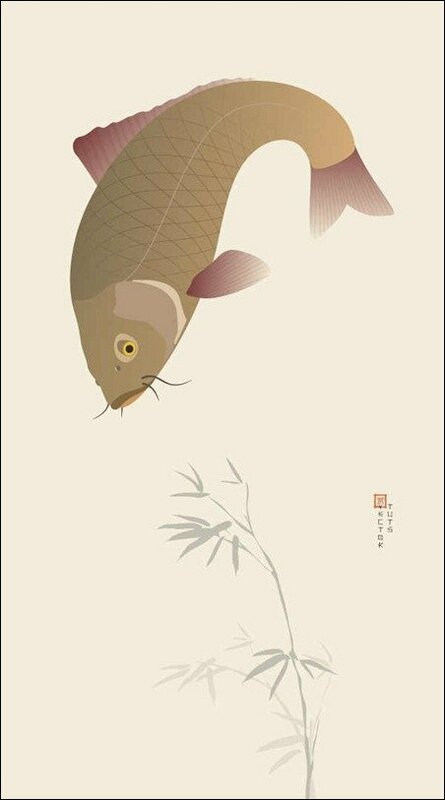 This tutorial will take the intermediate Adobe Illustrator users through the techniques and processes needed to create this Japanese Koi Carp. 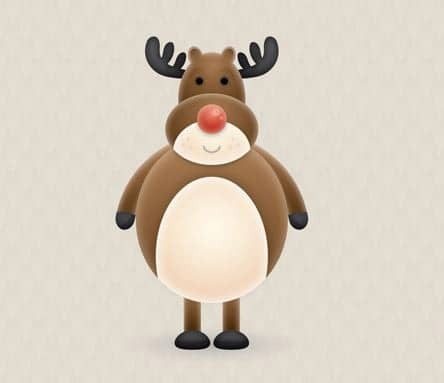 Follow this step by step process to design a cute vector reindeer character. You’ll begin by creating the basic structure of the character with basic shapes, then build up the details with gradients and effects. This tutorial will guide you from sketchbook to vector art and you will create a “Fat Cat” doodled with biro and translated into a neat vector caricature. Intermediate knowledge of Adobe Illustrator is recommended. 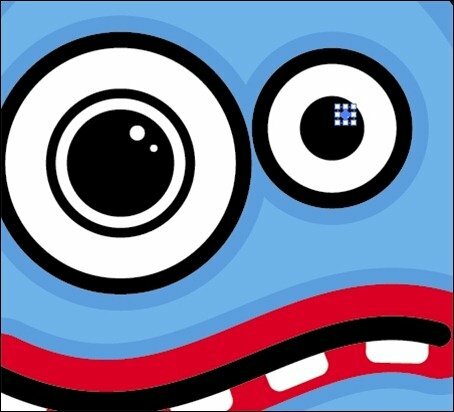 This Adobe Illustrator walk-through is for creating a cute little vector monster character, beginning with a quick pencil sketch on paper. 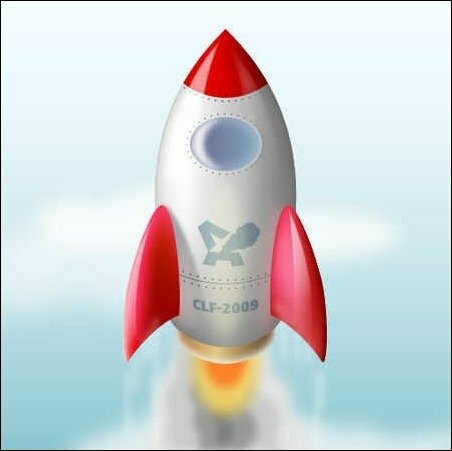 In this tutorial, you will draw a shiny, awesome-looking space rocket in Adobe Illustrator using advanced techniques such as gradient meshes, pattern brushes, and opacity masks. 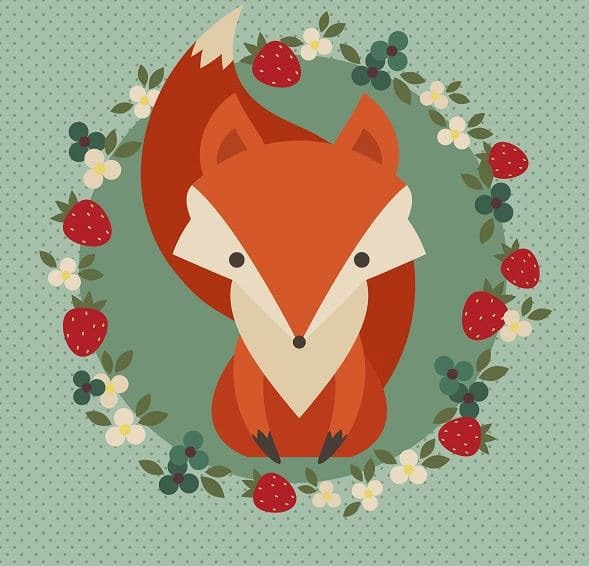 This vector illustration was created in Adobe Illustrator with the brush tool. Learn how to make it yourself, by following this great illustration tutorial. 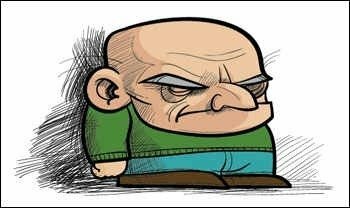 This tutorial teaches you to draw a cartoon character in Photoshop. No special drawing skills needed. Just use your imagination and use shapes and the pen tool. Be creative! 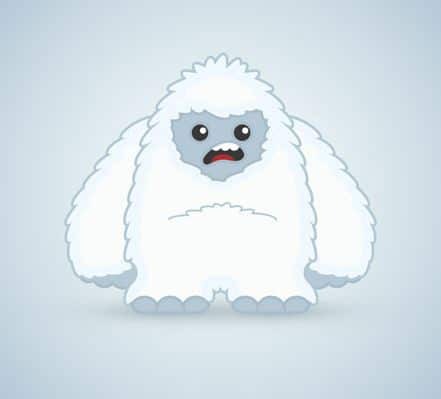 Follow this tutorial to create in no time a cute yeti monster. You will use Adobe Illustrator and tools such as width tool, strokes, etc. 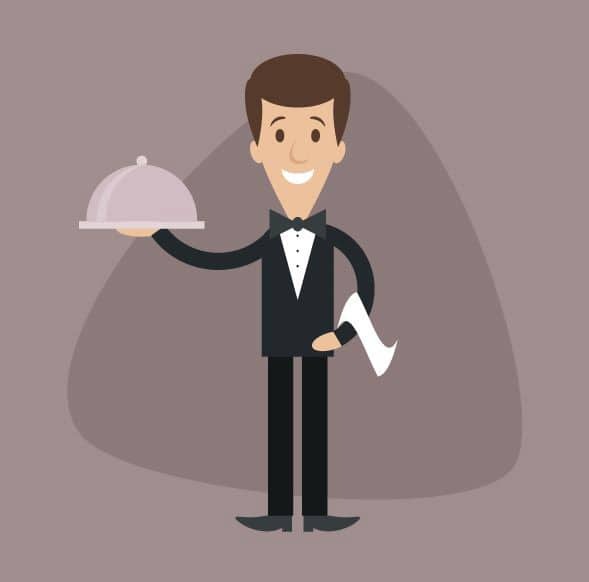 Create a funny cartoon waiter carrying a food tray. This will help you make other characters such as a doctor, a fireman and more. Check out this easy to follow project in Adobe Illustrator that uses basic shapes, nice colors, warp tool and more. 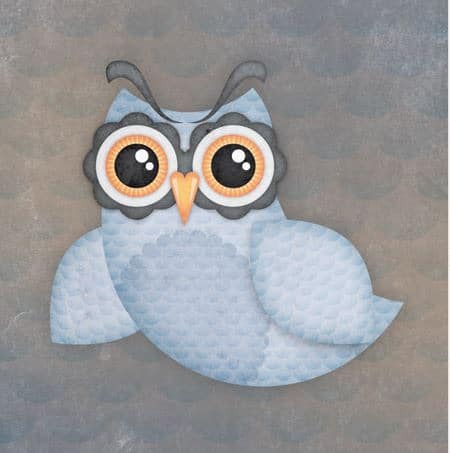 This tutorial helps you build step-by-step a beautiful vector owl using shading and patterns. Look at this cute monster you can design in 63 steps! This tutorial will help you build other cute characters in the future. This is a great tutorial that teaches you how to design a mascot from just a sketch to a nice illustration. 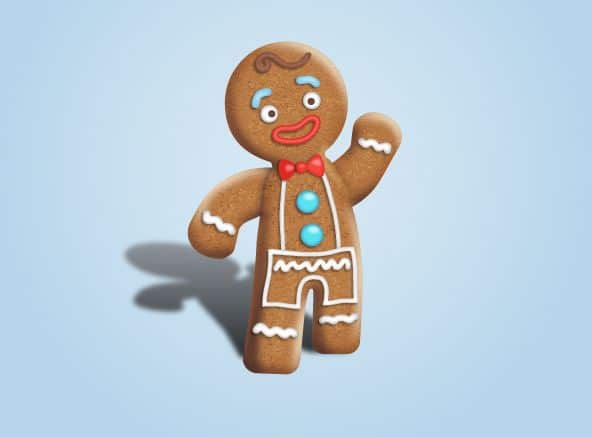 This cute gingerbread man awaits for you to design it. Start with this tutorial and get some inspiration for your next projects. 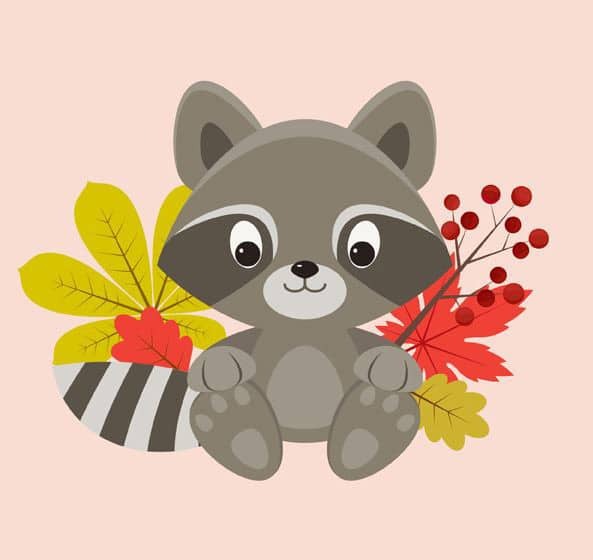 Create an adorable raccoon character with basic shapes with this awesome tutorial. Nice and easy! 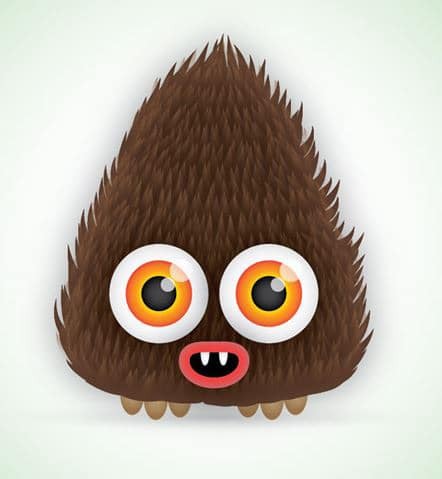 Pay attention to this easy tutorial to create a hairy vector monster. Isn’t it cute? 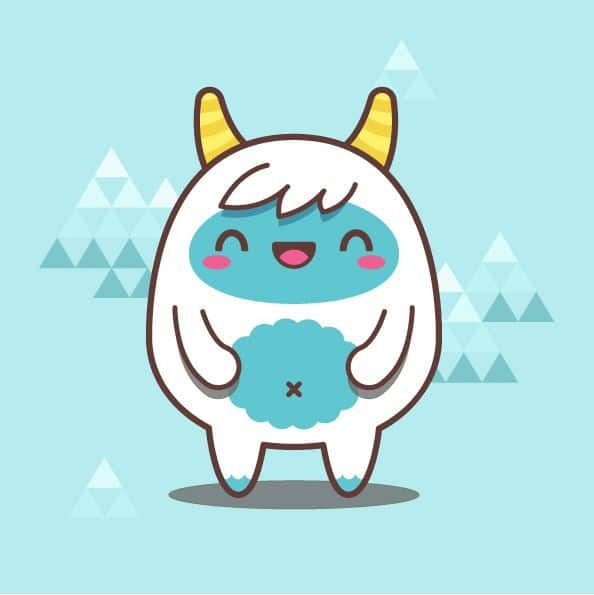 Create a cute illustration of a yeti character with these easy to follow techniques. 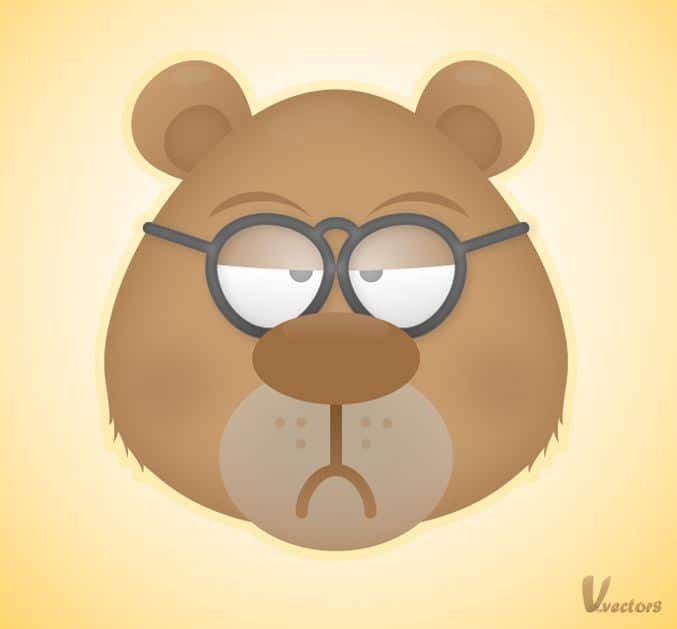 Complete, in just 12 simple steps, a grumpy bear face cartoon design. This easy tutorial will show you exactly how to do it! 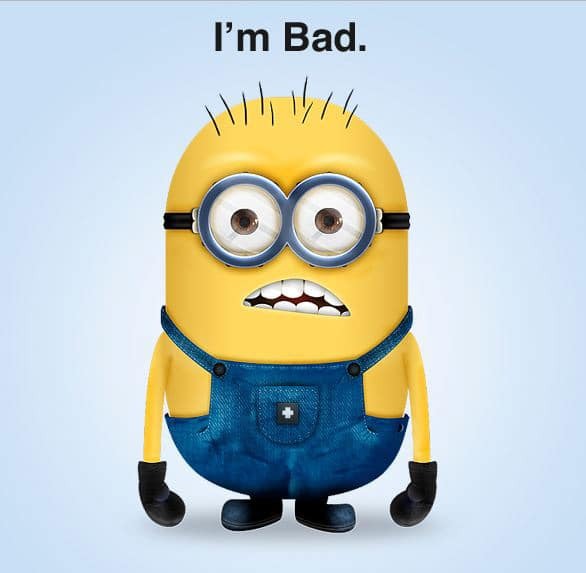 Ever wanted to make a minion character? Get started with this tutorial in Photoshop and Illustrator. 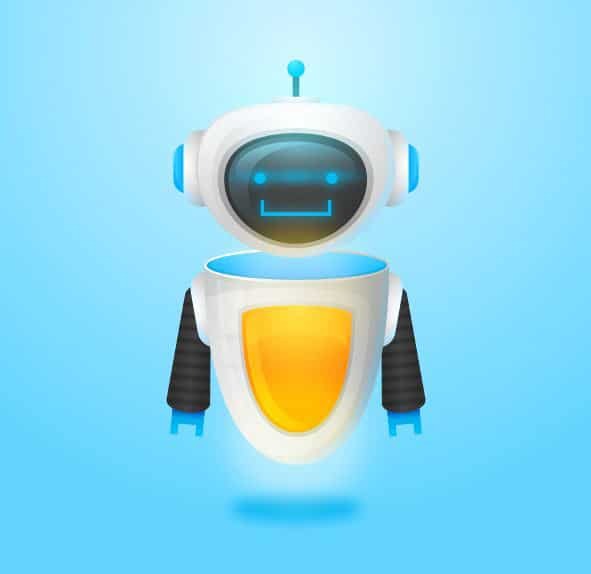 This tutorial gives you step-by-step guidance to completely create this friendly robot. 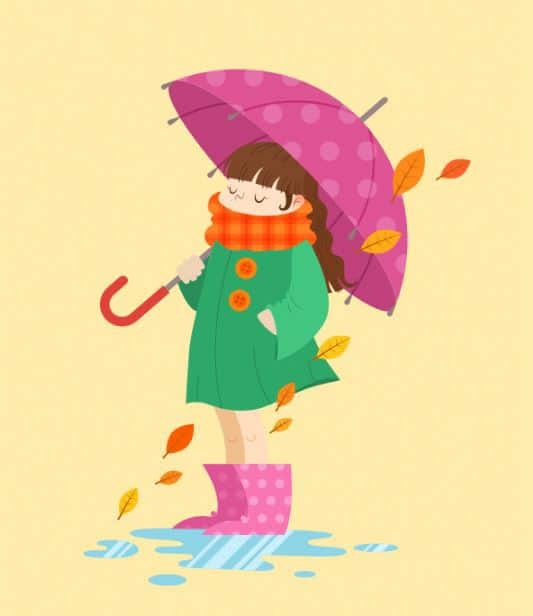 Start from a sketch and design this beautiful illustration of a girl enjoying autumn. 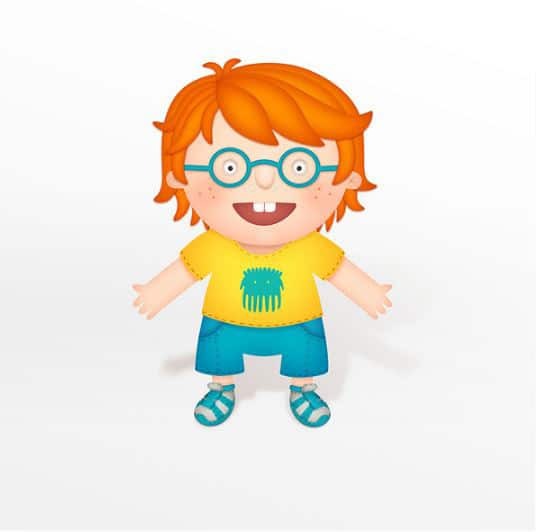 Use this video tutorial to design a funny red-haired boy in Photoshop. This tutorial can be easily adapted for other similar characters as well. 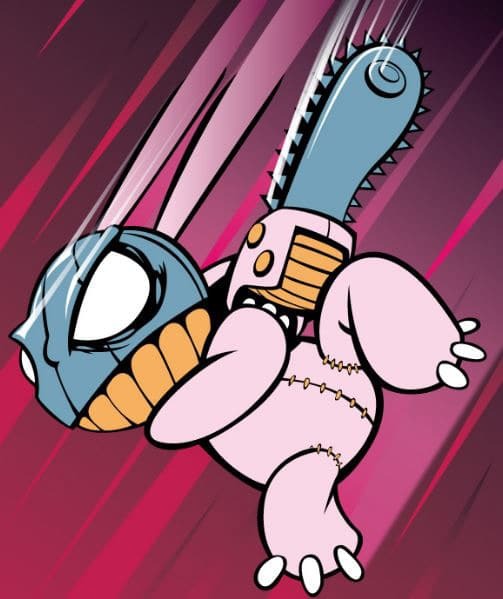 Using the pen tool you can make this cartoon of a killer chainsaw bunny. Let’s start creating! 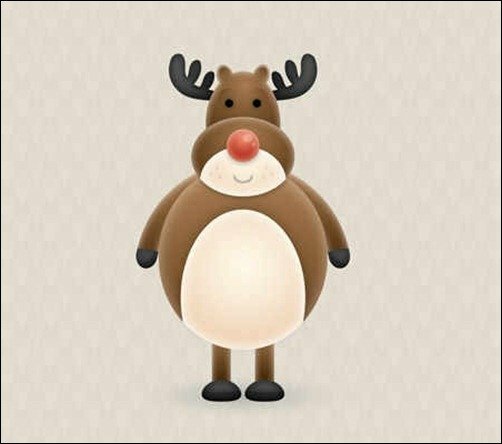 Using basic shapes and this amazing tutorial you can easily create this vector reindeer. Winter is coming! Prepare yourself for Christmas themed design projects! 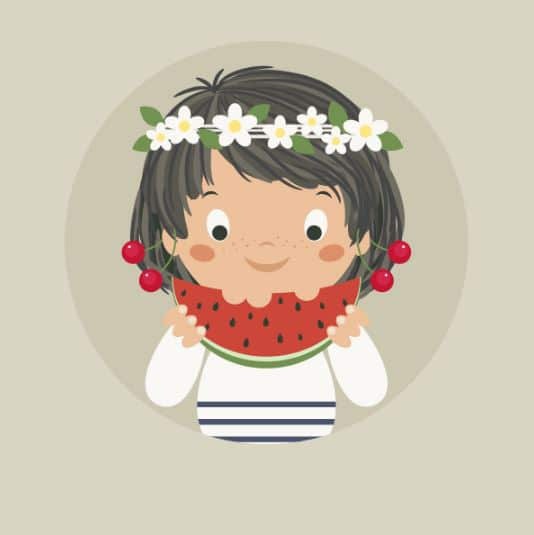 Create this nice girl illustration in no time by following this tutorial. 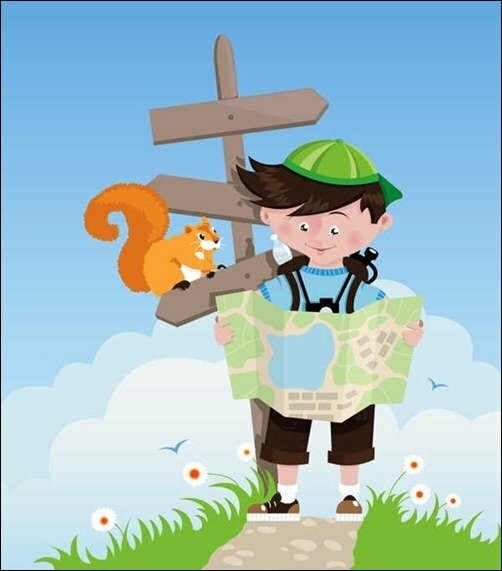 It shows you how to use this awesome illustration style which can be ideal for children’s books. 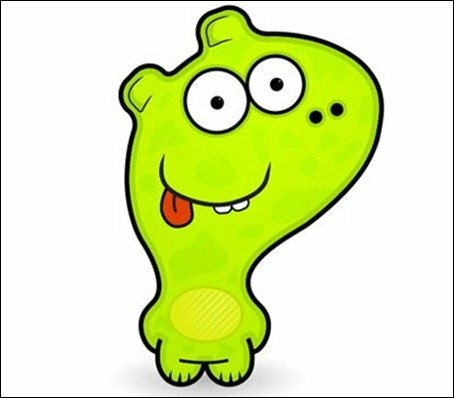 Using Adobe Illustrator and this step-by-step tutorial you can make this fun cartoon. It can be used to easily create mascots. Learn how to create cartoon effects in Photoshop using this simple, step by step Photoshop tutorial for beginners. Start learning! Ideally, your target will be set against a clear background for easy manipulation. Step 1 – Open up your chosen picture in Photoshop. Select the pen tool (see left of picture), and select ‘Paths’ mode (see the top of picture). Preset your brush to a basic 3-pixel width ‘Hard Round’ (see the second picture), as you will need to use this for your stroking. Create a new layer (Ctrl + Shift + N) – name this layer ‘Lines’. Step 2 – Carefully start to trace the outline of your picture with the pen tool – use the anchor points to manipulate then pen selection to fit the target, you can do this in sections if it is not a complete loop. Remember that you don’t have to follow the outline to the finest detail as you are trying to simplify the image into cartoon form, so nice round edges work well. Step 3 – Once you finish each section of tracing, right-click on the pen selection and choose ‘Stroke Path’. Select ‘Brush’ from the drop-down menu and click OK. Your first section should now be stroked. Your primary colour defines what colour the edges will become. Step 4 – Now carry on with this until you have covered the edges and defining lines of your picture. Step 5 – Now create a new layer and name it ‘Fill’. Set the opacity of this layer to 50%, so you can see the image you are tracing behind. Remember to keep checking back to 100% fill to ensure the colours you are selecting are appropriate for your image, as 50% opacity will dull your colours. Now it is down to you to decide which colours are most appropriate for different sections of your image. Remember to select darker colours for shaded areas as shading is vital to this cartoon style. Step 6 – Increase the brush size, and vary it depending on the area you are filling in. Make the ends of the filling fit under the previously drawn edges. Fill the areas with the colours that dominate that area of the original image, or whatever seems most appropriate. Step 7 (Optional) – There are a few effects that can be added to make an image appear more cartoon-like. Check the scan lines tutorial for more information.